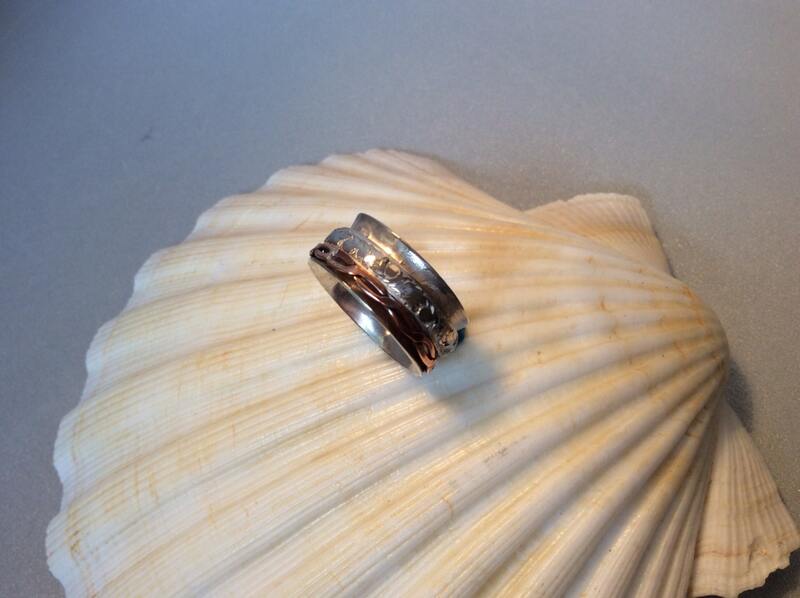 Lovely Sterling silver spinner ring. 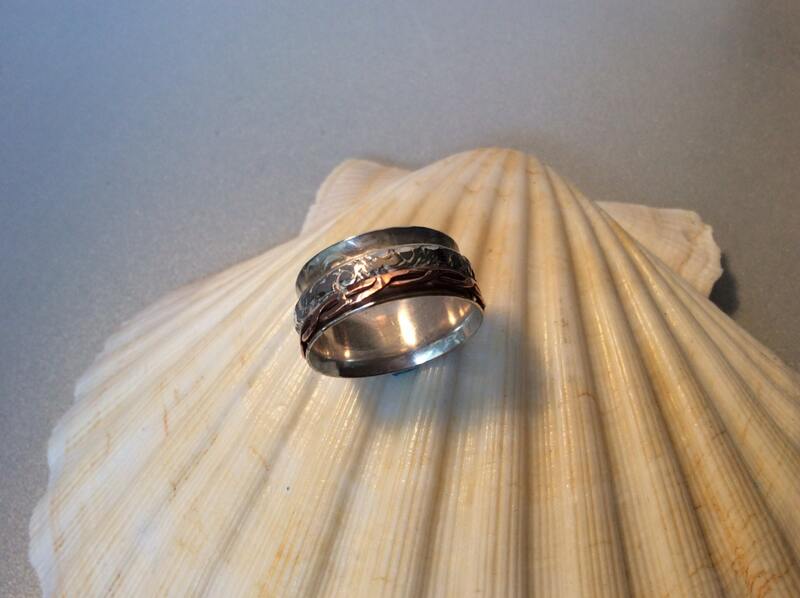 Base ring has textured silver pattern. Two spinners on this ring. 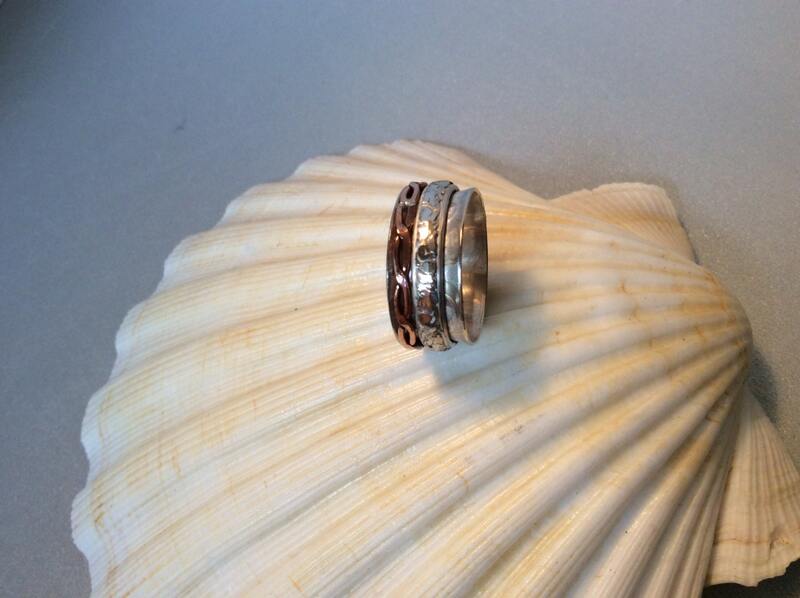 One is copper twist and the other is Sterling filigree. 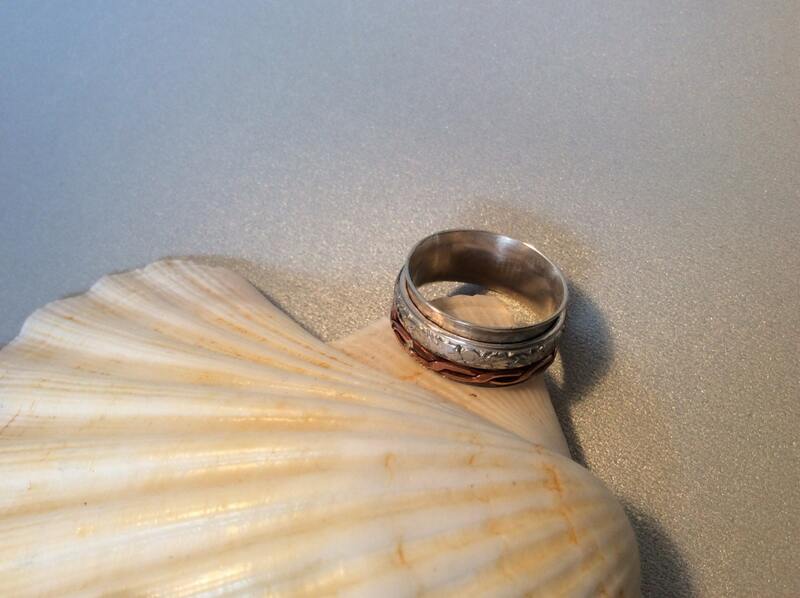 The ring is 9 mm wide and is a size 7 1/2.